Sports Authority of India (SAI), Patiala through its academic wing, conducted Six weeks Certificate Course in Sports Coaching for Athletics, Badminton, Cricket, Swimming and Yoga at KIIT Deemed to be University Campus from 24thDecember, 2018 to 31st January, 2019. In all, 112 trainees from 22 states across India were perusing this Six Weeks Certificate Course. Among them, 24 trainees are national level players and 2 trainees are international players. Mr.Sanjay Gadnaik, Athletics Coach; Mr. Bhupinder Singh, Badminton Coach; Mr.Ajit Ku Mishra, Cricket Coach; Mr.Ashok Ku Singh, Swimming Coach and Dr.Sanjay Ku Panda, Yoga Coach were imparting the course. 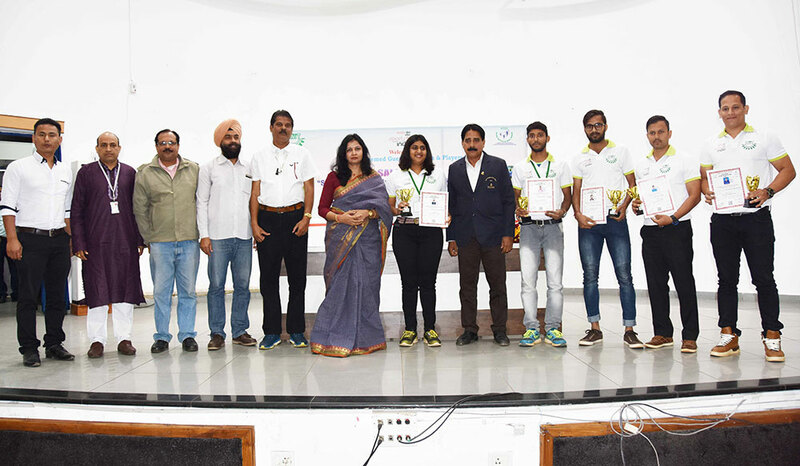 Mr. Varinder Singh, Mr.Vishal Thakran, Mr.Ritesh Negi, Ms. Nikita and Mr. Vigneswar were the toppers of this course in Athletics, Badminton, Cricket, Swimming and Yoga respectively. The course completed on 31st January. All the trainees were awarded with merits by Prof. Sasmita Samanta, Registrar, KIIT Deemed to be University, Dr. Gaganendu Dash, Director, Sports, KIIT DU and other coaches. Prof. Achyuta Samanta, Founder of KIIT & KISS and Hon’ble Member of Parliament(RS) has congratulated all the toppers and wishes good luck for their future career as sports coach.